Memorials are a special way to honor the special bond that many of our members have shared with their Springers and with ESRA. Families often encourage gifts to ESRA in their loved one's memory. The family will be notified of each contribution as marked on the donation form. ESRA has recently had to say goodbye to another dear friend. Ms. Susan Krebs passed away at the end of 2018. A longtime volunteer for ESRA, Susan Krebs fostered many Springers and frequently assisted on transports to get dogs into the rescue’s loving care. She was a great lover of dogs and horses, and she possessed the gift of conversing with others. A teacher at New Hampstead High School in Bloomindale, Georgia, she is recalled fondly by so many of her students. She obviously touched many lives. A memorial service to honor Ms. Krebs was held on January 19, 2019, in Summerfield, Florida. 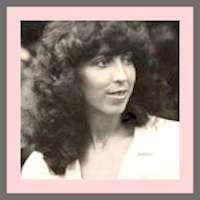 Prior to her passing, Susan requested that donations be made to English Springer Rescue America, Inc. in her memory. We share in the family's sadness at the passing of their loved one, Tim Culver. A special man with a kind heart and a quick wit, Mr. Culver lost his battle with cancer this July. 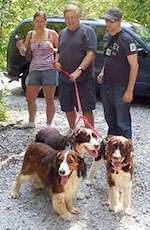 Tim had a fondness for Springer Spaniels and adopted several wonderful dogs from our rescue. His first was around the year 2000, with his adoption of Tucker from Dallas, Texas. Tucker had been given up by his elderly owner because he was too rambunctious. ESRA volunteer Kate Kyer assisted in placing Tucker with Tim. Tim and Tucker would play "roughhouse" almost every evening. Tucker passed away in 2011, and the Culvers' home felt empty without a dog. Another Dallas volunteer, Beth Maryan, helped find the perfect rescued Springer, Sparky, for the family in December of that year. Tim took Sparky on golf cart rides in the evenings. The neighbors adore Sparky, and he loves having people come to visit him. Tim donated to many of ESRA's Special Needs Springers throughout the years, including ESRA's Special Needs ambassador, Clayton. 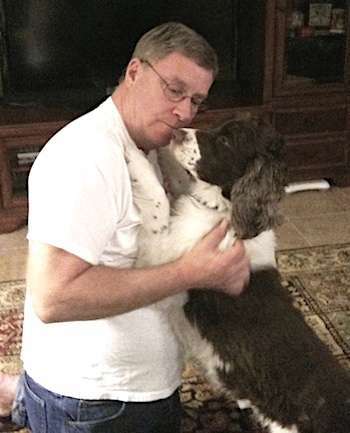 In honor of Tim and his love for Springers, the family is requesting that donations be made to English Springer Rescue America, Inc.
ESRA lost a great supporter and beloved long-time member of the ESRA Georgia family on March 4, when Paul Henderson passed away after a short illness. Paul will be remembered for his huge heart - first for his family and second for all Springers in need. In fact, it was volunteering for ESRA that first brought Paul and his future wife Sandi together. They were married in 2011 in front of family and ESRA friends. At that time, their combined household also included Springers Sam, Tony, Spencer and Roxie. Paul never met a Springer he didn't want to help. He loved every foster dog he met and would have liked to adopt every single one. Paul received his undergraduate degree from Florida State University and his Master's Degree from Georgia State University before beginning a distinguished career as a Certified Public Accountant, managing his own firm for many years before his retirement. Paul traveled the world and had a tremendous thirst for life. Much of his youth and young adulthood were spent with his lifelong best friend, Fred Brock. Paul was born August 12th, 1951, in Chicago, son of Paul and Marilyn Henderson. 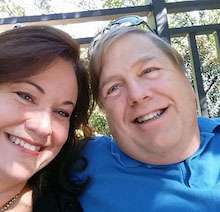 He is survived by the love of his life, wife Sandra Garris Henderson, son Nick Henderson, daughter Chelsea and son-in-law David Robles Mora, sisters Laurie Crooks and Lynn Henderson, nephew Ryan Crooks and ESRA Springers Tony and Katie.